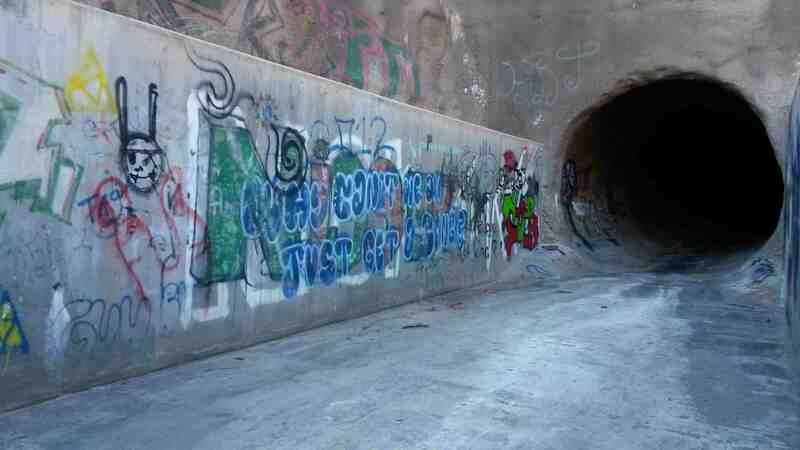 There is graffiti art at each end of this long dark drainage tunnel. Is it worth the fearsome hike? A long dark tunnel of adventure and art.